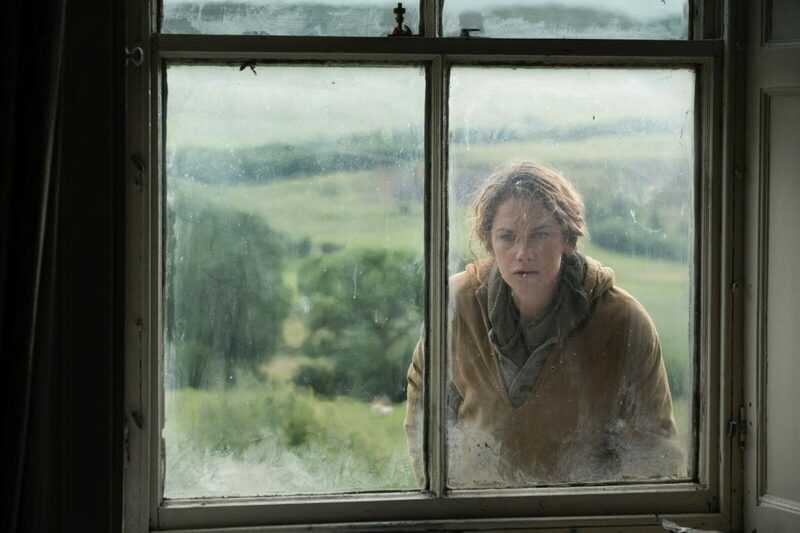 In Clio Barnard’s third feature film, following The Arbor and The Selfish Giant, she continues her study on the impact of poverty in the U.K. with her new film Dark River. Like her previous film The Selfish Giant, the focus is squarely on the aspects of life the public tries to overlook. While Dark River’s thriller-esque, noir tone (rural noir) makes it a captivating watch, the trauma of sexual abuse threaded throughout the film also makes it a challenging experience. At the center of the film is Alice, played by Ruth Wilson, who returns to reclaim her family farm from her brother Joe, Mark Stanley. Their relationship’s been strained due to the sexual abuse inflicted on Alice by their father Sean Bean, and erupts in a new wave of violence. Lesley Coffin: This film feels like a departure for you as a director. Were you looking to explore something new after the success of The Selfish Giant? Clio Barnard: The two previous films were connected to each other and I wanted to do something different with this film. It was inspired by a book by Rose Tremain called "Trespass" and that was a new way to begin a project for me. Lesley Coffin: What initially interested you about "Trespass" when reading it? What were the narrative changes you wanted to make? Clio Barnard: It’s about two sets of adult siblings and I really loved the characters in the book named Audrun and Aramon. And the characters in the book are based on those characters. The families are very similar and it’s also about a dispute over their family farm house and living with the damage done by their father. So I was very interested in how these two siblings had found these two very different ways of coping with what they’ve experienced in their childhoods and how it blocked their abilities to relate to each other. 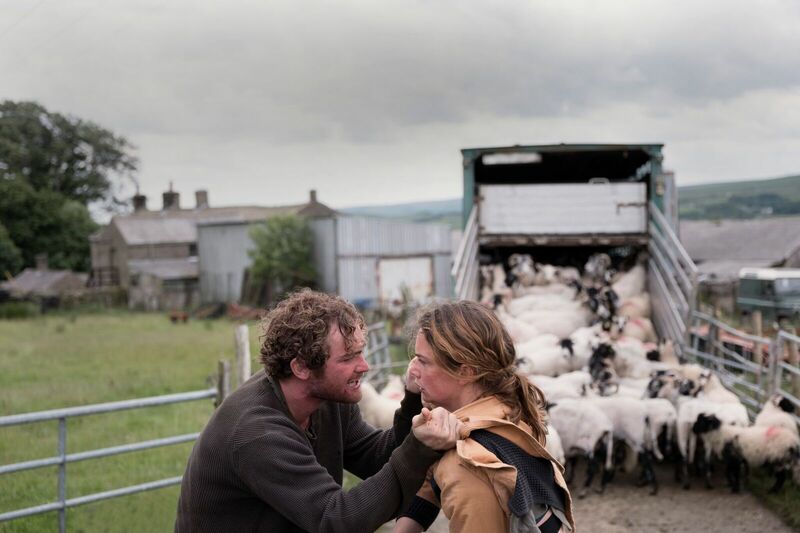 One of the big changes I made was to have them be tenant farmers, rather than own the land they were on, because I was interested in the politics of how precarious the lives of those people who work the land can be. There’s a misconception that people in the countryside are wealthy but that of course is not the case. And I wanted to explore what it meant to be working class and rural. Lesley Coffin: I understand the film was partially financied by the grant from the Wellcome Trust which funds film projects focused on scientific exploration. What scientific research was done for this film? Clio Barnard: It helped in terms of understanding how memory works after trauma, specifically intrusive memory. Someone can live with the memory of something, know it happened, but actively tries to avoid thinking about it. Alice knows these events happened to her but she doesn’t want to remember, and yet they keep coming to mind. She can’t keep the memories out of her mind and it takes a lot of effort to keep those memories suppressed. Also I was interested in the psychology of the perpetrator, which helped Sean play the father and Mark play her brother. It helped make me sensitive to how they related to each other. Lesley Coffin: We learn so much about the abuse Alice suffered through flashbacks but there’s very little exposition explaining what happened. Did you consider having scenes which explain more to the audience? What decisions were made regarding how you’d film those scenes? Clio Barnard: It was important that from the moment you see the Sean Bean’s father on screen you understanding that this family has experienced sexual abuse. I never wanted that fact to feel like a big reveal. Which is the reason that moment may seem rather slight and understated. I felt the less narrative structure those flashback segments had the powerful they’d be. Talking to a psychologist one of the most important things about treatment is helping a patient see and give their memories context. Intrusive memories exist without context, so Alice doesn’t have context for these flashbacks yet. We couldn’t know what those memories meant before Alice. Lesley Coffin: What made you think of Ruth Wilson for the role? Clio Barnard: I’d actually met her for a different project and I of course knew her work. She’s a phenomenal actress, and I knew it would be a tremendous challenge both technically and emotionally. And I knew that she’d be up for the amount of work that would be required. Lesley Coffin: What was the thematic reason to make them sheep farmers? afar does for the environment what patriarchy does for the figure of woman. It is paradoxical act of sadistic admiration.” In a way I think Alice’s body becomes objectified and used so there was a comparison to the way we objectify nature and animals and can do the same to women. We can see something as beautiful without really engaging with it meaningfully. Lesley Coffin: You were also a film teacher previously. Was it helpful in your career to have that experience? Clio Barnard: I stopped teaching in 2012, but when I was teaching I made my first film and I certainly was helpful. It really was inspiring to be working with these students who were pursuing the same thing I was.